The successor of the MZ 2200. 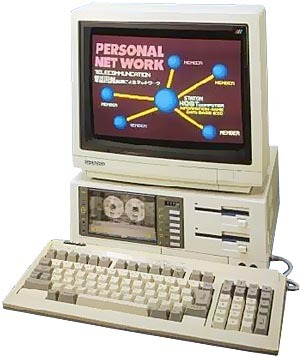 The characteristics, especially the graphic characteristics, are impressive, it is one of the most powerful of the MZ computer series. It takes from 2 to 8 seconds to define P.C.G (user generated characters, similar to sprites) with the Sharp X1 serie, while it takes only 0.5 seconds with the MZ-2500. It has features in common with the X1 series and will be replaced with these computers. see more Sharp MZ 2500 Ebay auctions !